I’m a Canadian citizen, but I live and work in the USA as a permanent resident. I met my American husband in Canada — while we were both working in the motorcycle industry. We have lived and worked all over North America, but East Tennessee is where we choose to call home and raise our baby. Our baby was born in the U.S. — which makes him an American Citizen automatically and a Canadian Citizen by descent. We have already applied for and received his U.S. infant passport. 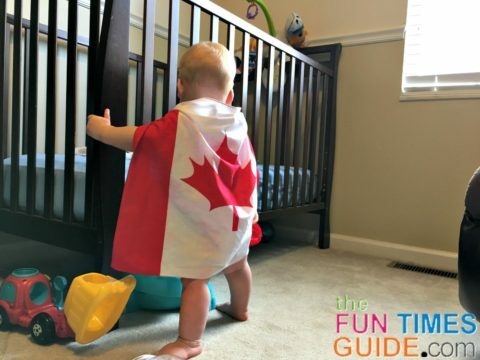 The next step is to apply for our baby’s Canadian Citizenship Certificate to prove his citizenship — which is a document required to acquire his Canadian Passport. 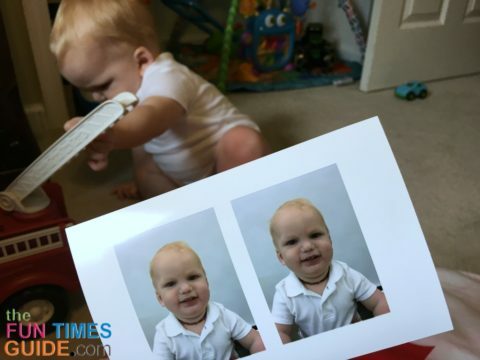 Have baby’s citizenship photos taken. Basically, they’re just like Canadian Passport photos. Here are the specific requirements for Canadian Citizen Certificate photos. Last I checked, it will take 5 months to process our baby’s Application for Canadian Citizenship Certificate. You can check the current processing times here. Once we receive the Canadian Citizenship Certificate, we will then apply for an infant Canadian Passport. It’s important to me as a parent to process and finalize these official documents. My side of the family still resides in Canada, and we plan to have our baby visit to know his family there. Even though his U.S. Passport would work just fine to get him there, I want him to know Canada and be proud to be a Canadian too. My Canadian roots run deep — with so many fond memories. Canada shares the world’s largest international border with the USA. It is such a massive country — spanning 6 time zones across 10 provinces and 3 territories. Canada is the world’s second largest country, after Russia. Canada’s population is approximately 36 million, compared to 323 million people in the USA. The landscape is diverse and has wide open spaces which are sparsely populated. The majority of the population (85%) live in the major cities closer to the southern border. Canada uses the metric system — kilometers and Celsius. Since Canada is mostly surrounded by water (minus the border it shares), it has the world’s largest coastline. Canada has more lakes than the world’s lakes combined, and it has 1/5 of the world’s freshwater supply. Canada’s bill money is colorful, waterproof, and features Braille for the blind. But there are coins in place of the $1 & $2 bill. Those coins are called a loonie and a toonie. Approximately 3/4 of the world’s maple syrup comes from Quebec, Canada. They actually have reserves of the sweet liquid.